Explore temporary Riviera gardens set up in different venues such as Nice, Menton, Grasse, Cannes and Antibes, with this year’s theme of dreamy escapes around the Mediterranean sea. 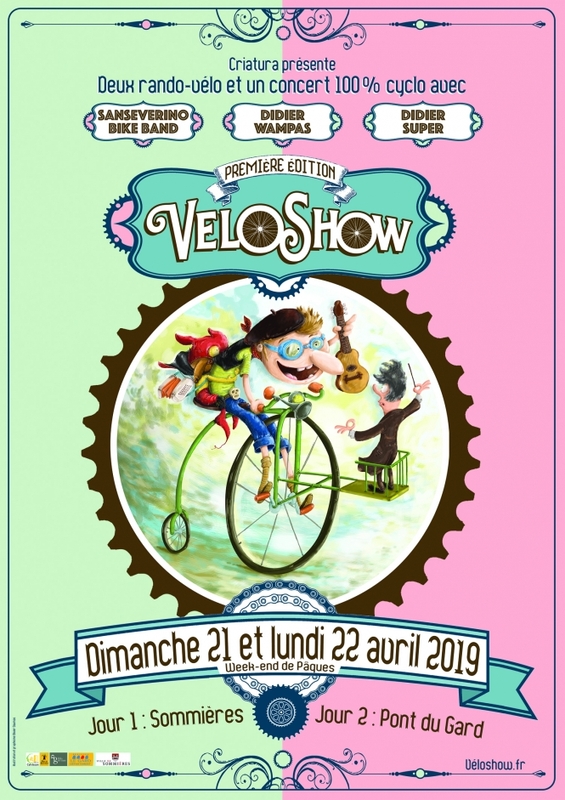 This new two-day ‘Veloshow’ event in the Gard combines cycling and music. While biking people will be able to see BMX and music shows along the route, on Sunday night, different music artists will perform in Sommières. On the first day, bikers will cycle from Sommières to Cavisson and on Monday, to the famous Pont du Gard, where the last concert will take place. Multiple activities related to bikes and concerts will be organised at the Esplanade of Sommières throughout the weekend. Around 150 art galleries will pop up under the roof of the splendid Grand Palais. The international exhibition aims to make contemporary art accessible to everyone by mixing styles from all around the world. Twenty different countries including as Brazil, Mexico and Cuba will be represented as well as several European countries. Les Rencontres Internationales de Cerfs-Volants gathers more than 500 professionals from all around the world to offer a spectacular show of colourful kites filling the sky. The international event brings thousands of visitors every year from all over France for a whole week of demonstrations and outdoor spectacle. 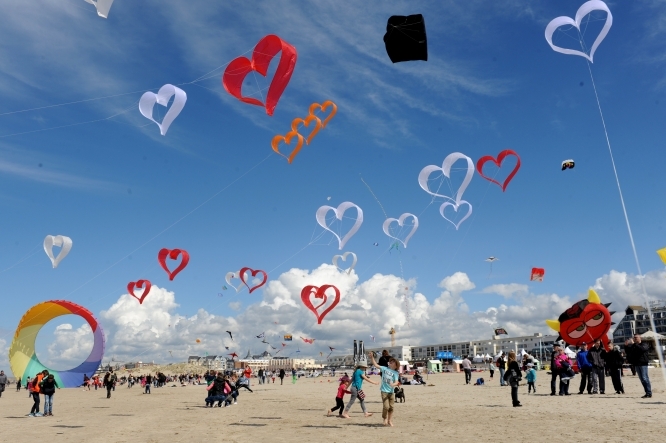 People can practise together on the beach but also just enjoy the kite show. 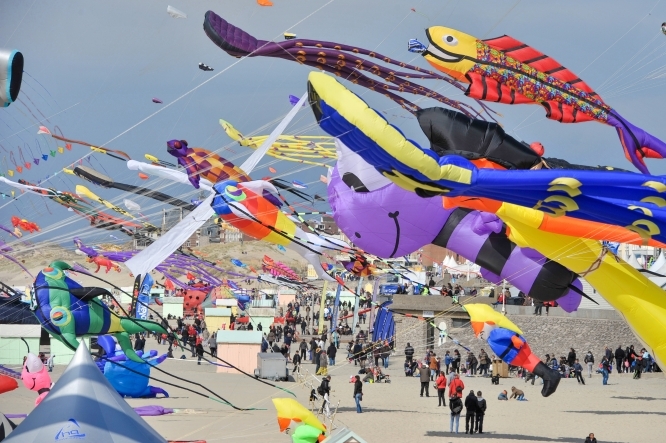 This year the theme of the kites is travel, poetry, dreams and magic. A new feature is the ‘wind garden’ on the beach where water mills, flowers and animal figurines created with recycled material will offer a show on their own thanks to the movement of the wind. It involves 20 people, making the beach look more lively than ever. Bergerac (Dordogne) will host its annual fun fair which sees many rides for children and adults alike. Expect carousels, bumper cars, thrill rides and roller coasters as well as traditional children’s games such as hook-a-duck, set up all around place de la République. The well-known cycle race with different levels and paths of 70, 145 and 172kms is dubbed ‘The Northern Hell’, due to its difficulty included riding over cobbles. It is open to all riders with professional cyclists racing the next day – when everyone is invited to watch. The national day to celebrate vinyl records takes place every year and Amiens is holding the 9th edition. The exhibition called ‘Une certaine étrangeté, Photographies 1979-2018’ by Andy Summers is a mix of private photographs related to the career of former bassist of The Police. Here is an unmissable event for keen twitchers and nature lovers based in northern France: Abbeville in Somme hosts a nature and bird festival each springtime, the best time to observe the animals in situ. 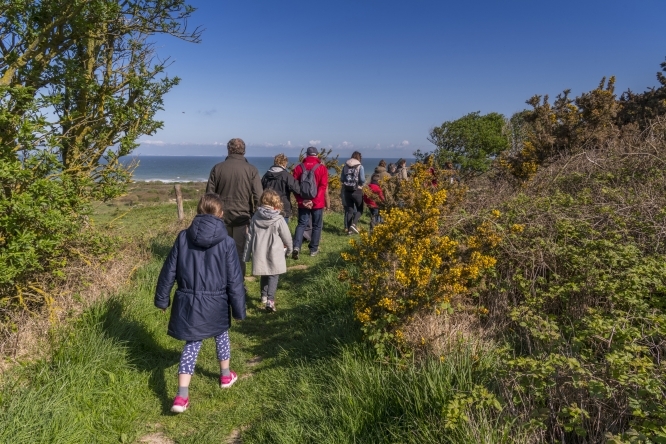 Nature trips, craft activities and tours with expert guides can be enjoyed during the 10-day event, and you can explore the wider Baie de Somme area on horseback, bike, boat or by foot. Almost 40 outdoor activities are organised throughout the festival while there are also games and shows for children, notably at the ‘Zoizillons’ space in Emonville’s park. A fun option for an exploration of the history and the nature of Saint-Valery-sur-Somme is from the back of a tuk-tuk. Given its photogenic surroundings, the event is a big draw for photographers and film makers, and more than 20 photography classes will be held during the event. At the end of the festival, a film and photography contest will reward the best picture and movie. The music festival announces the beginning of spring in Bourges (Cher). With over 150 different groups and artists, Le printemps de Bourges is one of the most popular festivals in France. From hip-hop to rock and electronic music, different musicians from all around the world share the stage for five days. Among them, famous French singers like Zazie or Maître Gims are as eagerly anticipated as much as new artists like the rapper PLK or Muddy Monk. The international fair of l’Isle-sur-la-Sorgue (Vaucluse) turns the town of 19,000 people into a big international art market where 200 French and European sellers meet and exhibit their rare items. The market has four sections: antiques, old books, contemporary art and design decoration while around 250 town’s shops take part in the foire to show their most beautiful items in the streets. Bordeaux’s marathon is a popular event where people meet in front of the Palais de la Bourse and start running when the sun goes down. Different paths can be chosen: relay race, marathon, or half marathon. Europajazz is a jazz festival organised by different associations in the Sarthe capital. As part of the festival, they take over the streets of Le Mans and play music all day long. Wherever you are in the city, walking, shopping, or having a coffee you will be able to enjoy live music being played nearby. The light show in Chartres starts at the end of the month. 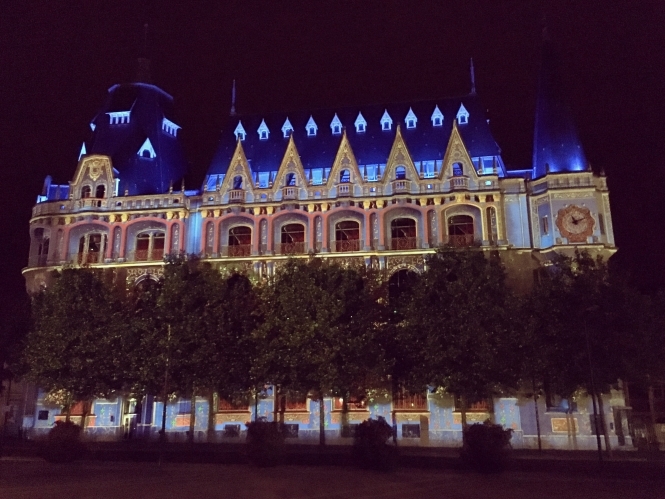 The event offers a magic show every night by lighting up several monumental buildings in the city centre. Twenty-four streets and buildings are illuminated in different ways from the beginning of Spring to Autumn. The renowned Notre-Dame cathedral, the fine arts museum and its garden, the Apostrophe library and the theatre are some of the best spots to enjoy the show. As you walk from one street to another, you can enjoy the illuminations and music shows on the town’s bridges. While there is no special route to follow for the event, the city does offer guided tours every Saturday night as well as night train tours which start at the cathedral. For its 10th anniversary, Giverny’s (Eure) museum of impressionism celebrates Claude Monet and the symbolist artist Jean Francis Auburtin. The exhibition offers two different views of the same painted French landscapes.